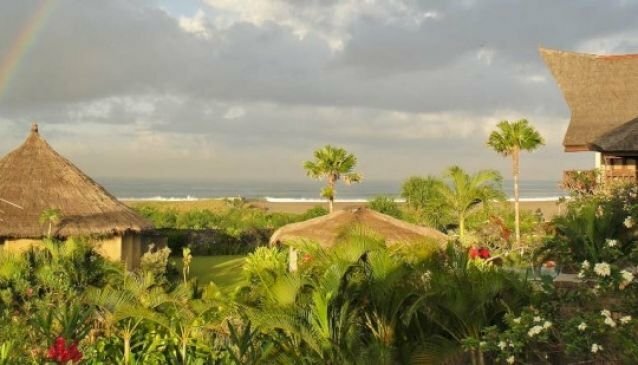 Bungadesa Villa is a private estate comprising two self-contained villas, one with 6 bedrooms, built in three spacious pavilions and one with 3 bedrooms built as 3 more separate pavilions. The two villas can be rented separately or together, thus presenting guests with a 3, 6, or 9 bedroom holiday renting option. Renting the villas separately gives complete privacy. The grounds are covered with lush tropical gardens and lawns. Refreshing year-round ocean breezes in a peaceful atmosphere will relax your mind to meditate or simply to stretch out and let your thoughts wander.